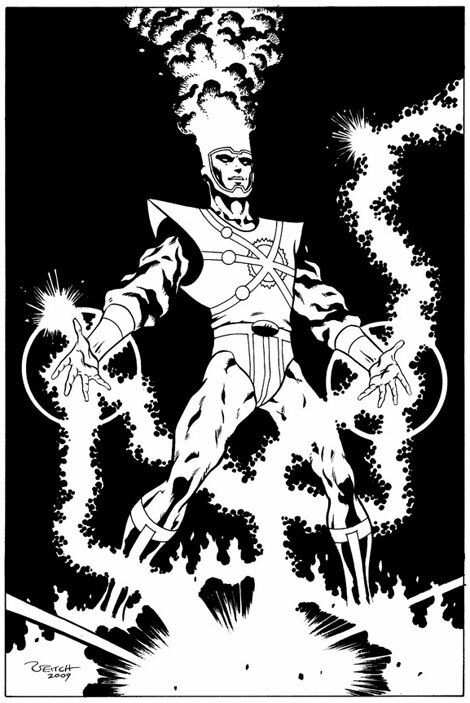 Rich Veitch (well-known for his work on Swamp Thing, Aquaman, The Question, and his self-publishing company King Hell Press) recently did a commission of Firestorm. It was featured on his blog, but he was kind enough to grant me permission to reprint it here. Check out this beautiful piece! Click here to see the pencils of this artwork (featuring colossal Kirby mitts). Thanks, Rick!